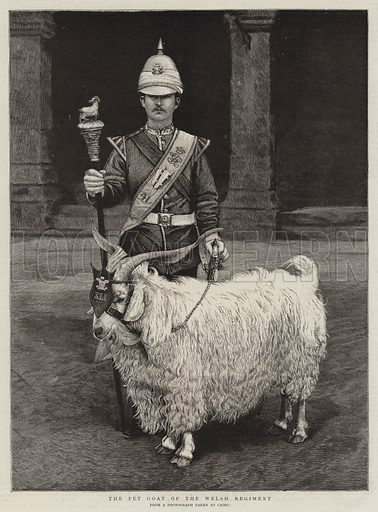 The Pet Goat of the Welsh Regiment. Illustration for The Graphic, 12 October 1889. Available worldwide for immediate download up to 5,621 x 7,619 pixels.